Kratom is considered to be an evergreen tree that comes from the Rubiaceae plant family that can be found in South East Asia. These kratom plants come in three different colored strains which are the green, white, and red. The red vein variety is stronger compared to the white and green varieties when it comes to relaxation effects. People living in South East Asia make use of the red vein kratom when they receive guests or during ritual worship. Recently, this kratom strain gained popularity because it can enhance mood and can create a tranquil atmosphere which will then improve your sleep. This strain is one of the well-liked and well-known kratom products. What Are the Unique Features of Red Vein Kratom? The names of the different kratom strains represent the different colors of kratom. The red strain has bright red leaf veins and has more prominent mitragynine content. 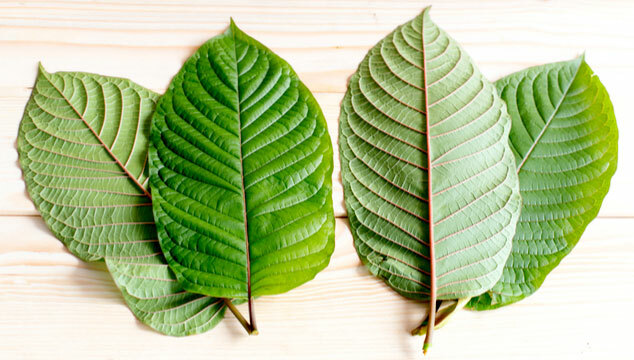 Chemicals present in the kratom plant are the ones responsible for its strength and makes the red vein variety the most potent strain of kratom. This strain can provide a calm environment and can make you forget the pain and physical aches. Moreover, you will be able to rest better and regain energy faster like you are soaked in warm water or a sauna. The alkaloids present in this strain helps relax your muscles and encourages you to sleep. In connection to that, this strain is best used during night time or in the evening to provide a restful environment in your home. If you use this at daytime, it would not be beneficial as you have an entirely hectic schedule during the day. However, if you still decide to use it during those hours, you will inevitably put everything you need to do aside and have an afternoon siesta instead. What Are the Sources and Types of This Kratom Strain? This kratom strain comes in different forms such as resin, tincture, powder, and capsules. The kratom powder is dried and crushed leaves and is the most excellent option as it is convenient to use and very affordable. When you prefer to use kratom powder, you have to make sure that your dosage is appropriate to your weight. This variety of kratom grows in different countries in South East Asia like Malaysia, Indonesia, and Thailand. Based on the source of kratom you will also find different kratom products like Red Sumatra, Red Borneo, and Red Maeng Da. These strains share similar characteristics, but there could be a slight difference depending on the strain. Take for example the Red Maeng Da strain that provides calming effects but doesn’t have drowsiness as a side effect. This strain came from Thailand’s dense forests. It has a high percentage of active flavonoids and alkaloids. Due to that high percentage, this kratom variety is considered to be one of the most potent. It has soothing and long-lasting effects. Moreover, it can get rid of niggling pains and can help you sleep better during the night. This kratom strain came from the Sumatra jungles in Indonesia which are the sixth most significant island in the world. This strain is a premium kratom strain that can make you enjoy its benefits even if you take it in low doses. Each gram of red Sumatra can make you feel peaceful, happy, and stress-free. This strain came from Borneo’s tropical forests – Borneo is the third biggest island in the world. The island of Borneo is politically divided into three countries. However, a considerable portion of the island belongs to Indonesia. As a result of this division, some kratom users get confused between Borneo kratom strains and Bali kratom strains. However, you should know that Borneo kratom is not as sedating as Bali kratom, and can give you a restful environment without the side effects like drowsiness. If you want to use red vein kratom strains, you have to measure the quantity that you take very carefully. If you are new to kratom, it is better if you start with 2 to 4 grams and increase it to 4 to 8 grams if necessary.